To make a long and uninteresting story short, I’ve continued to be plagued by saddle issues, and finally concluded that my Albion, with it’s deeper seat and decent-sized blocks just doesn’t work for me. I need smaller blocks and a more open seat. 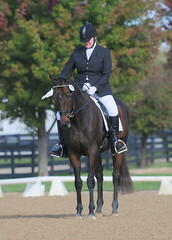 to accommodate my decided preference for the shorter stirrups my tight hips and often sore knees demand. I have a Passier Relevant en route for a test ride, and have a fitter coming to the barn on Friday. However, in the meantime, I’ve been riding with a friend’s old saddle – a brown Passier Grand Gibert. I like it and even more importantly, Derby approves too. Gone is the bracing and resistance, and the exhausting exhortations to MOVE FORWARD. He’s clearly more comfortable, and I am too. Working a stretch, something other saddles made impossible. Derby moves forward more freely in the Passier, and is much more willing to stretch, which really puts my bad (BAD!) habit of pulling back on display. 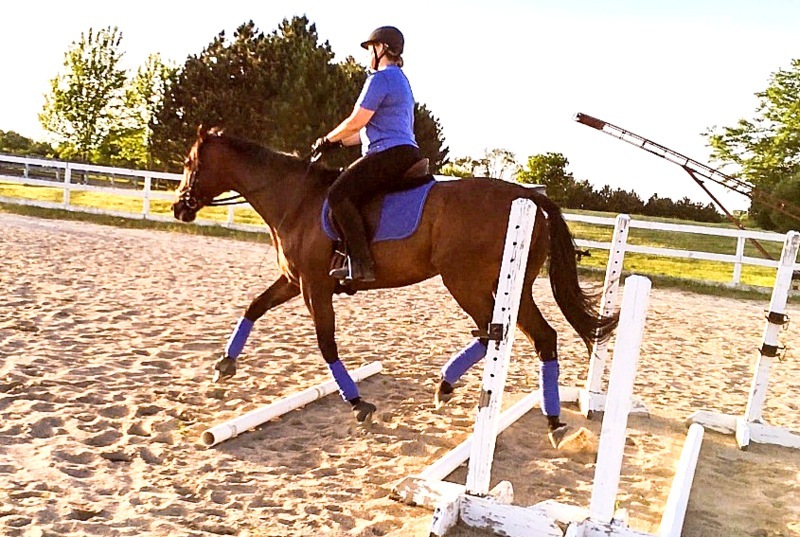 In my lesson last night, Christy zeroed in on the fact that when I pull, I also collapse my core, which sets up a host of other problems, in addition to discouraging the horse from doing what I want him to do, which is to stretch into contact. I’ll be drilling stretch stretch stretch for the next few rides. Anyway. The Passier GG isn’t perfect – it’s too wide for Derbs and I’m using a Fleeceworks pads with quite a few shims in the front pockets (two Thinline shims and a Fleeceworks memory foam front shim.) This set up is comfortable for him and balanced for me, allowing me to be more effective. I hope to God we’re getting close to the end of the saddle fitting odyssey. For the time being, I’m not complaining. Rides are finally more fun than frustrating, for both me and the Derbinator. So happy to be riding outside! 2 Responses to A fitting end? Do let us know how the new saddle goes. You sound like you have the same issues as me. Saddle purchase is such a huge investment we can’t afford to get wrong so I shall be really interested to hear how much better you feel this one is on yr hips and getting your horse to stretch forward to the contact. Hopefully it works out! 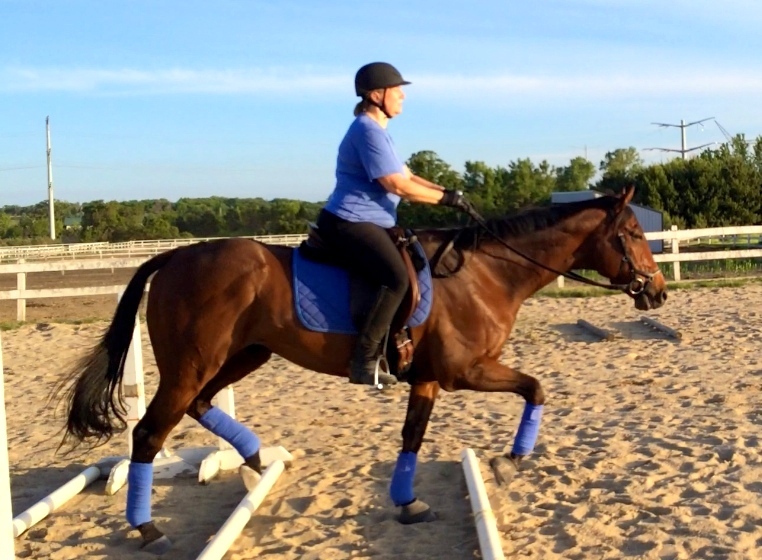 By the way, would you like one of your OTTBs to be featured on my blog? You can email if you do!